…to the Saltash Dental Surgery in Cornwall, near Plymouth, Devon. We are a well established, family orientated practice aiming to provide comprehensive, high quality dentistry in a friendly, modern environment. We offer a wide range of treatments, carried out by fully trained friendly staff at reasonable prices, and have recently been assessed as fully Care Quality Commision compliant. 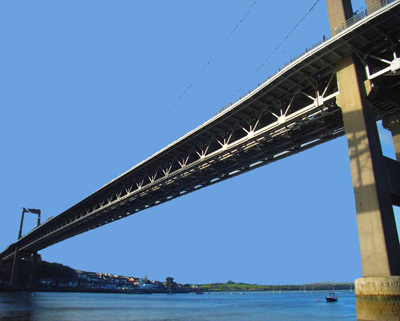 We can be found at the top of Fore Street in Saltash, with a bus stop directly outside or car parking available in nearby car parks. See our location map for more details or directions. The Saltash Dental Surgery welcomes enquiries from new patients and we are currently offering a 25% discount on the first check-up. Please contact us if you have any questions or would like more information on our treatments. We are accredited as a Denplan practice, thereby allowing you to budget monthly for a range of treatments to suit your specific requirements, with an emphasis on quality preventive care, and giving the reassurance of 24 hour world-wide emergency cover. Cosmetic dentistry, such as tooth whitening, is also available at reasonable prices. Copyright © 2010–2019 Saltash Dental Surgery. All rights reserved.